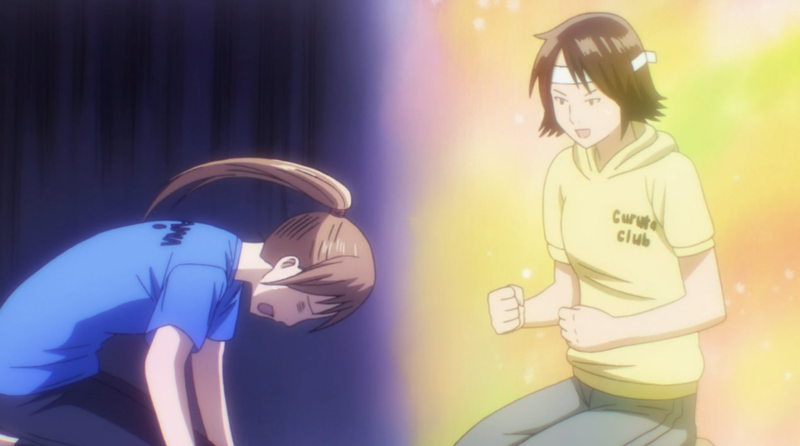 Recap: Chihaya battles on despite her handicap, and the most adorable series of stills ensues. Afterwards, Nishida gets matched up with Arata. He puts up a fight, but in the end it’s not pretty. 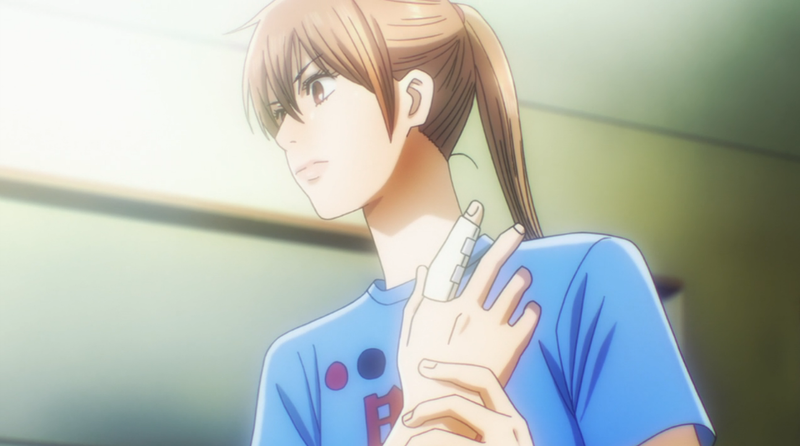 I can believe that Chihaya could learn how to master left-handed karuta. With time. However, I just find it highly convenient that she suddenly grasps the concept of mirroring her moves. There’s a reason not every pitcher in the MLB is a switch, the motion to do a complicated maneuver in one hand can’t so easily be mirrored into the other. The brain is hardwired to use its muscles in a certain way after repeated use. It’s not like looking in a mirror, you have to understand what is inverted in every step. I know Chihaya is supposed to be Wonder Woman of karuta, but this I found a little too good to be true. Still, her match with Keiko was fun. I always welcome the return of reaction shots, and this episode had them in spades. It’s also fun to see Chihaya go up against an equally honest person. I’ll be the first to say I’m surprised to see Keiko go down, especially since she was the only other victory in the Akashi v. Mizusawa match. This show has really been loving putting Nishida through the ringer. After so many crushing losses, he finally redeemed himself by bringing home one part of the key double-luck of the draw. I thought they’d finally have his luck go for the better. Unfortunately, he plays in A Class, and no match is easy, especially one against Arata. Once again, the Worf effect is applied on him just to demonstrate how skilled Arata really is at this game. With the speed he’s shown, I doubt there’s any way he’s going to lose until he goes up against Chihaya or Shinobu. Speaking of which, that’s definitely the marquee matchup of this entire tournament. 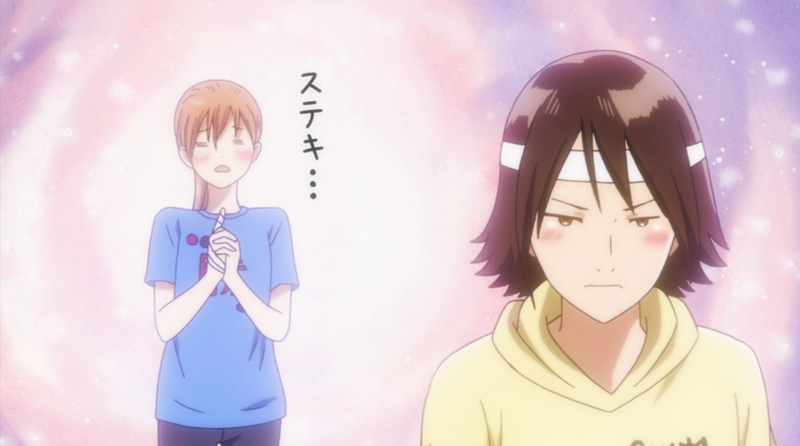 Say what you will about Arata, but Chihaya’s rivalry with the Queen has been one of my favorite parts of the show. With the remaining episodes dwindling, this would be the perfect send off to show how much Chihaya has grown since their last match, even if she still isn’t able to beat her. To be fair, Chihaya only barely won by two cards. And the incredulity of the situation was played straight with god himself, Arata, stating how amazing it was Chihaya won with her left hand. And if it’s anything to go by, I shed tears at the scene where Nishida lost. Therefore it was his best losing match to date.